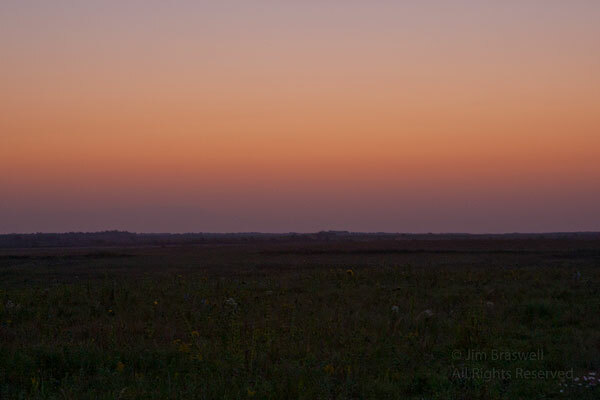 During my short visit to Prairie State Park last week, I was fortunate to be able to see/photograph some beautiful sunrises and a colorful sunset. 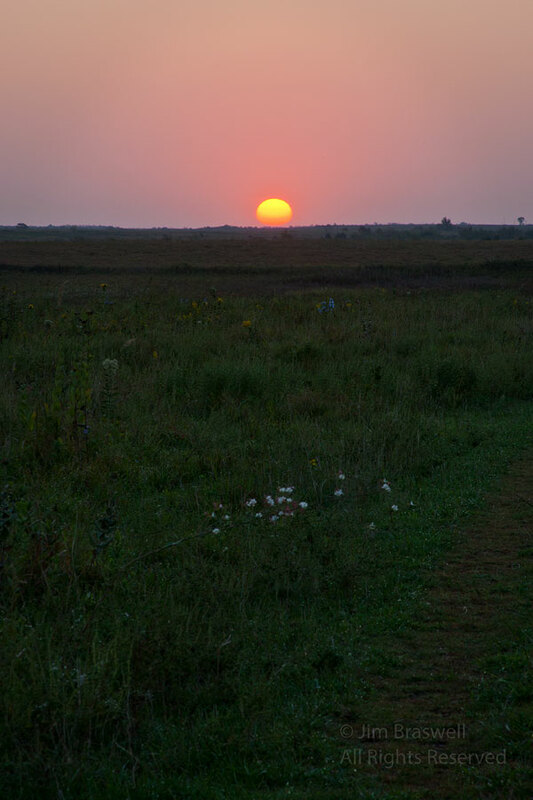 In today’s post, I’ll feature some images I made of both the sunrise and sunset of Day 1 on the prairie. I almost always use an ISO setting of 200. 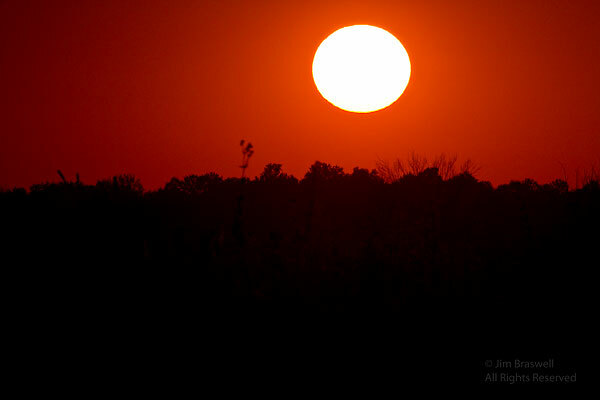 This causes the shutter speed to be quite low, but really increases the color saturation of sunrises/sunsets. I usually use an Aperture setting of ~f/22 to keep as much of the landscape in focus as I can. But I do deviate sometimes so that I can throw some of the landscape out of focus, keeping the subject (sunrise/sunset) in focus. I always use a tripod! No if’s/and’s/but’s … absolute stability is required for sharp shots! 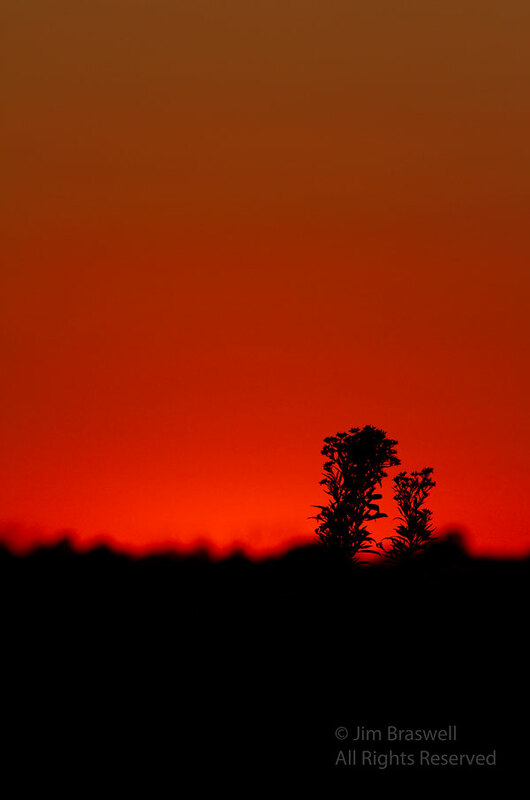 When exposing for sunrises/sunsets, I usually try to underexpose a bit. Not much, but just a “tad”, so that the colors are even more saturated. Maybe one-half stop, not much more. I usually shoot both portraits (verticals) and landscapes (horizontals), depending on the landscape and what I’m trying to convey. Plus, often I never know what the photo may be used for, so having both orientations will assure I have the correct one for any project I may need the image for (hey, I’m an Eagle Boy Scout … our motto is to always “Be Prepared”!). Oh, and those “starburst” suns and moons … to get them, you should be shooting at f/22. I’m already planning return visits to Prairie State Park. In fact, I’ll likely be in the area in just a couple of months, shooting short-eared owls! If you found this blog post interesting, feel free to send a link to your friends and other photographers that you think will enjoy it! 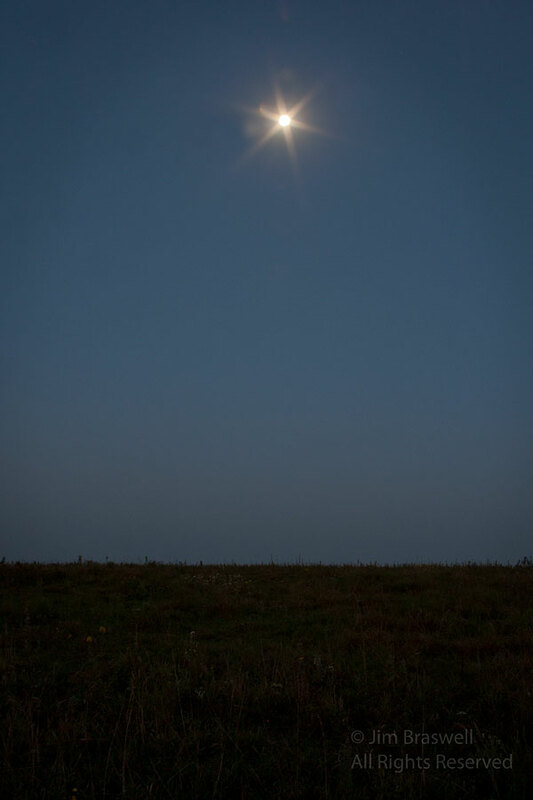 Tags: 2012, astro photography, Barton County, fall, landscape, meadow, Missouri, Missouri State Parks, moon, nature, nature photography, photography, photography tips, prairie, Prairie State Park, Regal Prairie, sunrise, sunset, travel, wildflower.